This red question mark icon tells you that there were some trades ignored and not copied. Every case is unique and you should look into the “Experts” tab to see the exact reason why your account ignored trades. It could be because of your special EA settings or it could be an error. 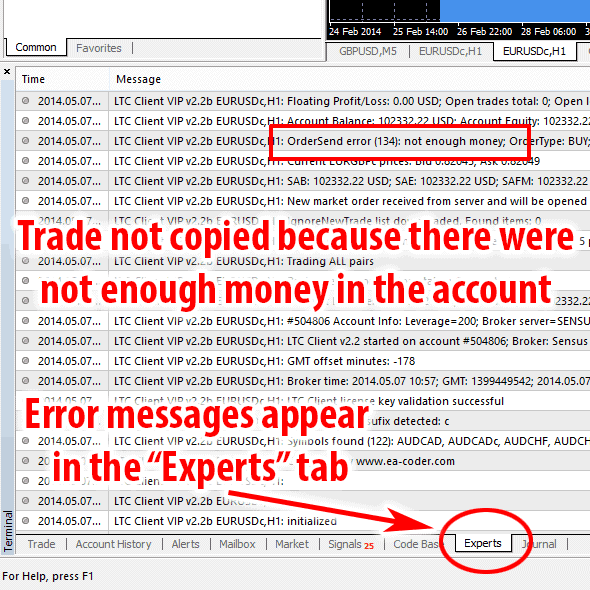 Whenever you experience any trouble or do not see trades copied you should check the “Experts” tab for any error messages. It might help you solve the problem on your own and immediately. 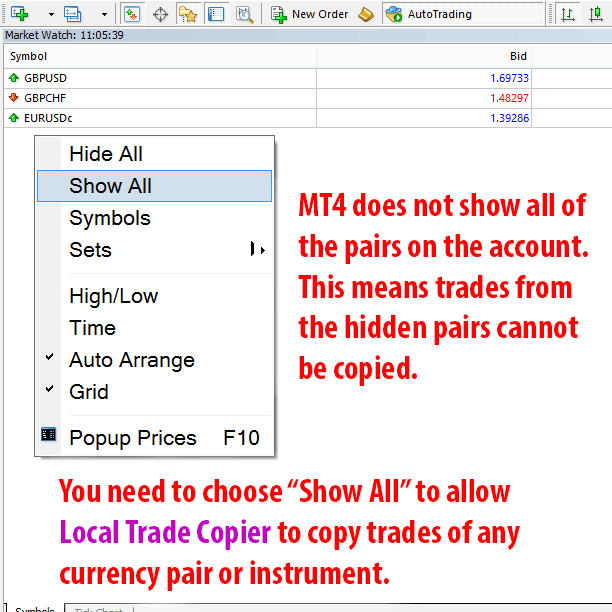 One case that may cause this is that your MT4 does not show all available currency pairs in your account. Please refer to the “Market Watch” window on the left side of the MT4, click the right mouse button and in the popup menu choose “Show All”. All new trades will be affected by these changes, even without restarting the EA, but if you have pending orders on the master account that were not copied because of this then you should restart the EA. Another case when trades are ignored could be that the Client EA did not detect the currency pair suffix correctly. 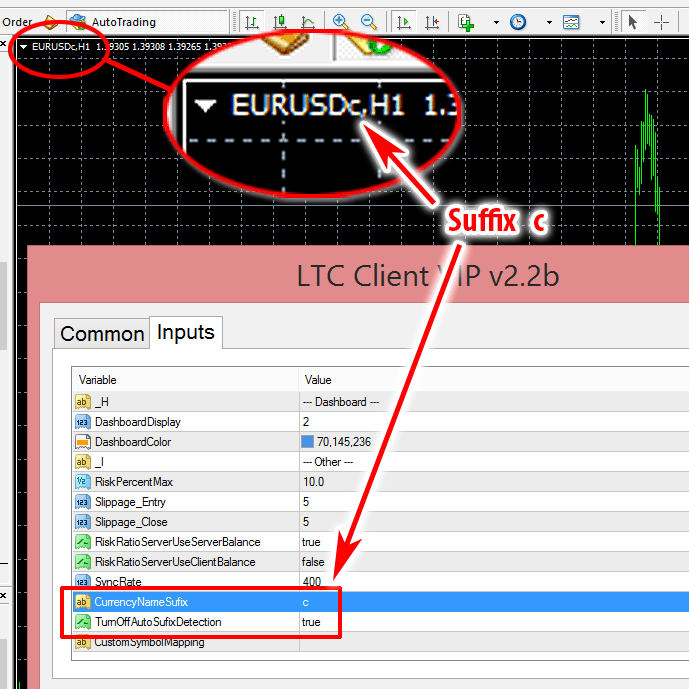 Try to set that manually using these two options in the Client EA inputs window. One reason i choose your system was the fact that your take customer support very seriously. I love these snippets of information. Not too much to take in … little but often works. Well done and please continue.